I got this Wine Bottle opener! 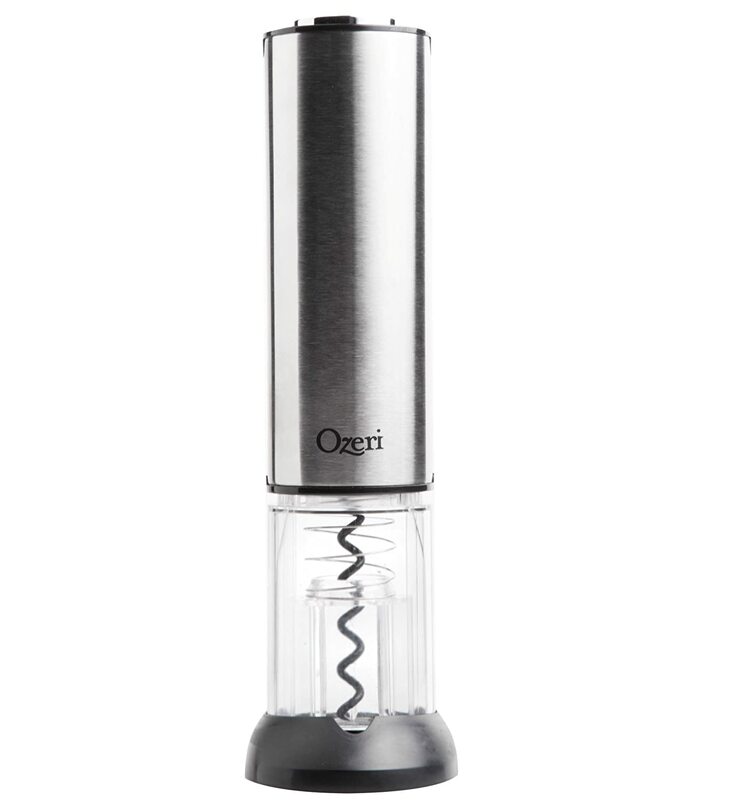 It is called an Ozeri Extravo Electric Wine Opener. I really like this product. It is virtually the easiest thing in the world to use. With little to no effort you can open up your wine bottles. The above video was literally the first time we used it. And it just worked right away! The handy foil cutter that is included also was used. I actually don't like to try and peel off that foil. So I used the cutter and it came right off. Then he placed the wine opener on top of the bottle and voila! Open bottle of wine! Then (I didn't get this part in the video) - the opener does a reverse spin. The simple act of lifting up the Extravo activates a reverse spin and ejects the cork. Also the pourer & stopper were nice too. Instead of trying to get the cork back in the bottle you can use the stainless steel stopper or use the little pourer on the top, to pour out your wine! Very cool. Another awesome thing is that it is rechargeable! Plus one charge opens up 60 bottles of wine anyway. So I'm good for awhile. But I really like that I don't need batteries for this. I can just charge it when needed! Disclosure: I received the above product complimentary for this review. All opinions are my own. I love electric wine bottle openers. This looks like a good one! Have a great day!